Like most bands placed on the new-millennium wing of emocore — whipping-boy offspring of Rites Of Spring, then Sunny Day Real Estate, then The Get Up Kids — Fall Out Boy were given little recognition until they hit it big. IE featured them when their breakout album, From Under The Cork Tree, was released, but traces of the band from 2003’s Take This To Your Grave looking backwards in this magazine are faint. Opinions now focus on ultra-extrovert Wentz, whose ubiquity led Chicago Tribune critic Greg Kot to incorrectly assume Stump is “intensely private.” Characterizations are bound to hound any band who have action figures made of themselves, the shallow dangers of which Stump has already begun to arm himself against. Rampant publicity, nay, overexposure could be deadly. Which brings us to the album itself. Categorical Fall Out Boy haters will probably find all the things they don’t want to like and correspondingly slam Fall Out Boy. But there are a number of things to admire: First is the album’s second track, “The Take Over, The Break’s Over,” which bounces around before finding a Springsteen-sized chorus. Next, the Babyface tracks are not, given the Pepsi Challenge, the ones you’d expect them to be (“I’ve Got All This Ringing In My Ears And None On My Finger” and “Hum Hallelujah” — which oddly conjures Leonard Cohen’s “Hallelujah” — are not them). Fall Out Boy may not have totally grown up, but they certainly aren’t handing someone else the reins. From a cynical perspective, Stump and cohort Wentz are like svengalis, calculating the band’s every move, especially in the studio. Before you can say “Metallica,” however, Stump claims to be more than accommodating once it’s time for the tapes to roll. Justifying his popularity, Wentz gets it right all over Infinity On High, building crescendos and flourishes until certain parts of the album seem bigger than they are. His lyrics give Stump reason to use his standard “whoa-oh-oh” to fill holes, delightfully bending the pop punk paradigm but keeping it recognizable. Stump’s most charming attribute — at least in the hour IE has spent on the phone with him — is his appreciation of music history. He seems to know that what has happened to Fall Out Boy could have happened to another band given different circumstances, and he’s hardly reticent to admit their fallibility. He doesn’t think their demise is imminent, but nevertheless plans on protracting that battle. Fall Out Boy are sidestepping landmines. But sometimes you have to wonder if he’s draining himself. Despite success’ glory, people tend to forget it’s a climb, an uphill struggle that can be even more exhausting if you don’t come out of it feeling respected — just popular. 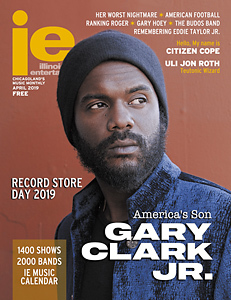 Stump almost sounds as if he really would have rather called IE than Island do it for him — working with Jay-Z hasn’t overwhelmed his Midwest sensibility. He should have. A candlelit table and a tray of sliders were waiting. 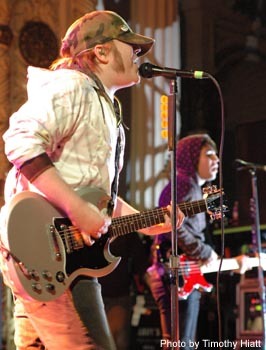 This is one of the best FOB/ Patrick articles I’ve ever read. I liked that Mr. Forstneger did not shy away from the important questions and mentioned Pete’s extracurriculars but did not dwell on them. Pete’s night life is not the band and the writer seemed to understand that. Also, the writer didn’t vilify Pete but above all else, Patrick acquitted himself as well as he ever has. Patrick interviews tend to shed a lot more light on the process of FOB’s craft and that delights me. They are such great guys, every one of them. I love their music and I too am happily shocked at all the critical acclaim. Those boys deserve it. I liked how this article was about Patrick and not Pete, he is the lead singer and all and i’m tired of seeing him in the background and Pete out there in the front. More power to him.